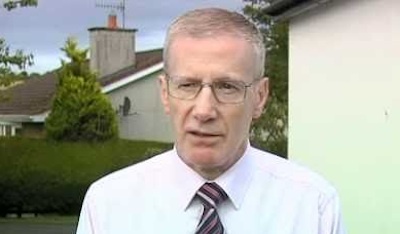 Why doesn’t Gregory Campbell launch a campaign to lift The Power of Orange Knickers up the charts? This would be a more apt and less risible response to the success of Glasgow Celtic supporters in finessing The Roll of Honour to number 33 in the UK, securing a ticket of entry into the BBC’s chart show. Gregory would be well ahead on the aesthetics front if he were to summon fellow Rangers fans to download Amos’s song all day, every day until The Power . . . had passed out the hunger strike anthem. But then, aesthetics aren’t what this is about. Anyway, it’s doubtful if Gregory has a sufficiently well-developed sense of fun to see the matter in this light. What he wanted was that the BBC ignore its own criteria for chart inclusion and simply ban the song. Seen solely in the context of football rivalries and mischievous manipulation of what we used to call the hit parade, the issues involved may seem unserious. But not everybody can afford a light-hearted approach. The most significant aspect of the song controversy may lie in the extent to which it has forced the mainstream media and some in politics in Scotland to acknowledge that, far from fading away, sectarian hatred remains a reality in the land and may even be on the rise. Last month, David Limond was sentenced to six months in prison for making sectarian threats to a journalist. He had called Angela Haggerty “Taig of the day” on his (unofficial) Rangers podcast before subjecting her to an obscene tirade and urging his listeners to “hit her with all you’ve got”. Haggerty’s offence had been in her professional capacity to have edited a book, Downfall: How Rangers FC Self-Destructed , by Phil Mac Giolla Bhain, a forensic account of how Glasgow Rangers had come close to crashing out of existence as a result of financial skulduggery on the part of individuals no longer associated with the club. Mac Giolla Bhain received scores of explicit death threats after the book’s publication last September. But despite expressions of concern and pleas for action from the NUJ and a number of Scottish Labour politicians, his predicament attracted scant attention in the Scottish media and, effectively, none at all in the rest of Britain. Scottish police showed little interest. The writer complained at the time: “It’s hard to think of another situation where a journalist can be threatened with death in a very credible way because of what he’s written and everybody just shrugs.” It was only when the threats were extended to the woman who had prepared his text for printing that charges were brought and the story found space. One reason for the reticence may have to do with the difficulty in fitting the story into a template in which Celtic and Rangers and the ideologies associated with each are seen as two sides of the same debased coin. But there is no Celtic equivalent of the Rangers anthem, The Billy Boys , a celebration of Billy Fullerton, leader of a Glasgow “hatchet-gang” in the 1930s. I once spent 10 minutes in a radio discussion trying and failing to persuade an avowedly non-sectarian loyalist leader that there was no equivalence between The Billy Boys - “We’re up to our necks in Fenian blood” - and Celtic’s Roaming in the Gloaming . Just as there’s no equivalence between Roll of Honour , however crude and inappropriate in football some of us might think it to be, and genuinely offensive and threatening football behaviour.